This outfit has me ready for Summer trips! 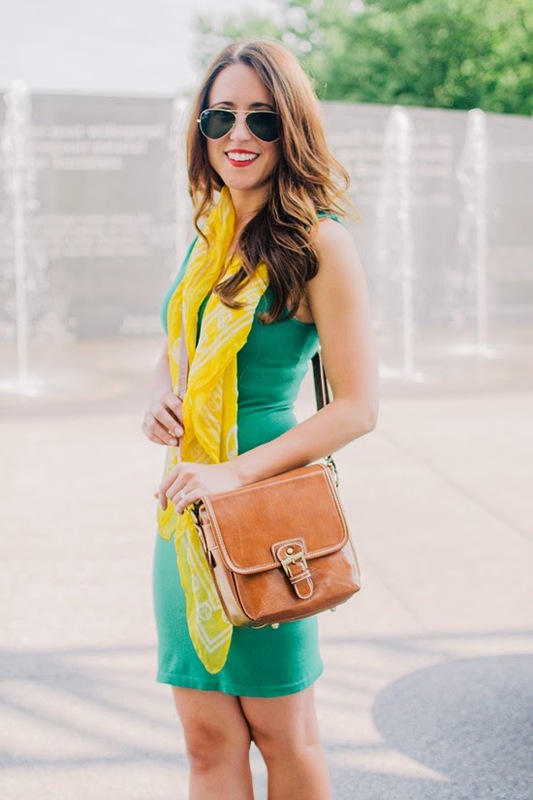 Layering basics at their best from M Rena including this super comfy tank dress via Shop Adorn. The perfectly cut booties from Off Broadway Shoes (I know they will be rockstars in my Fall wardrobe as well!). And a camera bag that is road trip ready! I love that it is not too big, but still roomy enough for my camera, phone, keys & cards. And the strap can be worn cross body which is so key when juggling all my stuff! Anyone headed out on a grand adventure over the long holiday? 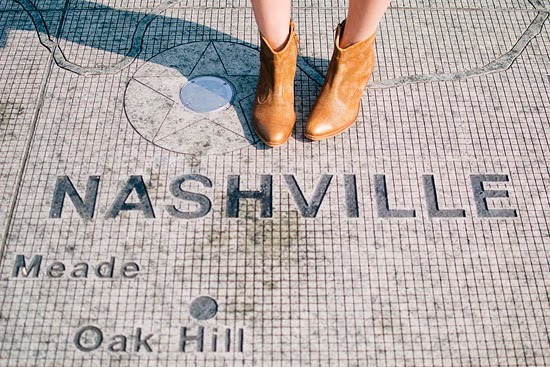 If you are planning a trip to Nashville, please check out my first Nashville city guide in the new Sip, Shop, See series… more to come! P.S. Today is the last day to enter to win a Half United necklace… you do not want to miss this one! 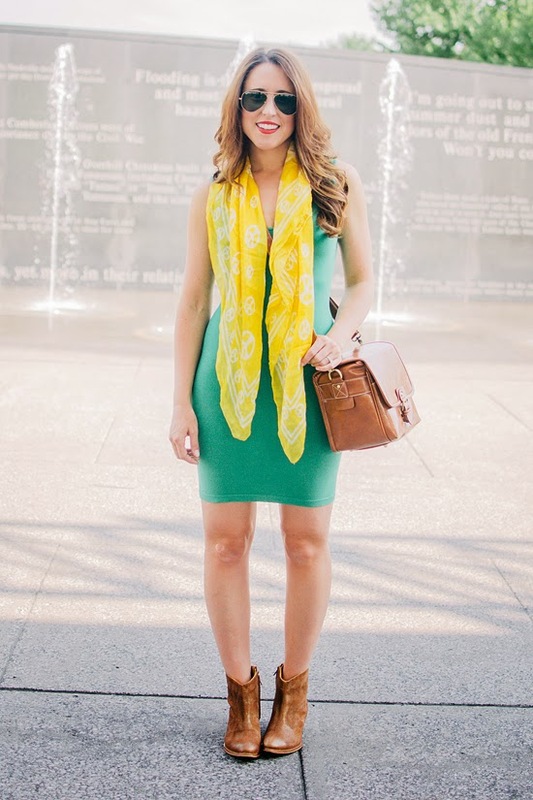 I'm loving this green dress! love your camera bag. I have a ugly one. love the camera bag! 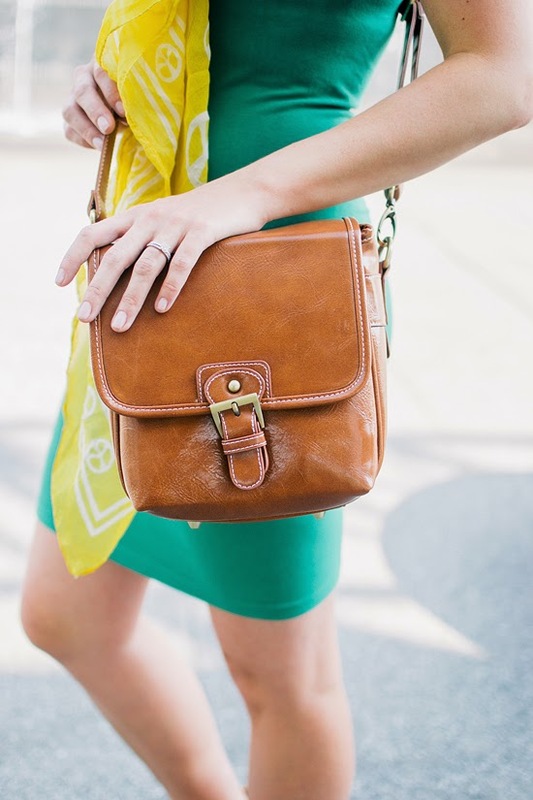 i'm always on the hunt for bags big enough (yet also structured) to carry my dslr. Totally in love with this look! 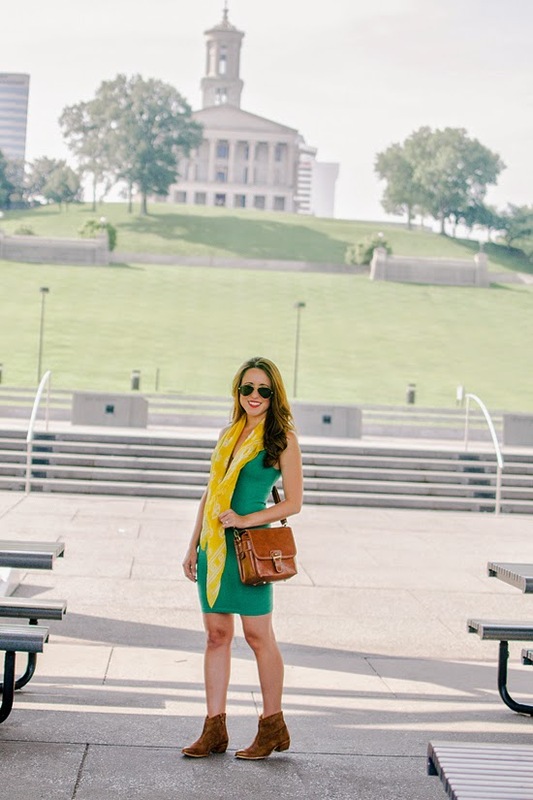 I really need to sport my scarves in the summer too! Love the color combo! The handbag is great, too. 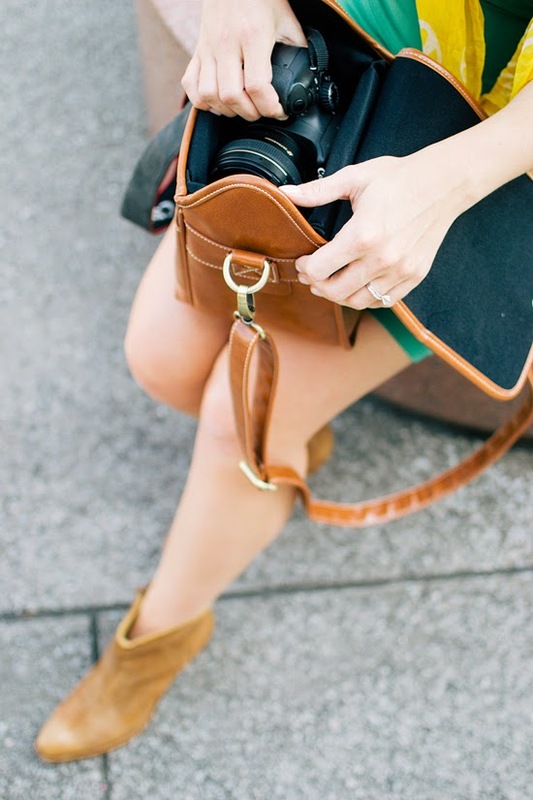 that camera bag is so amazing, looks cute as a purse but then added bonus, it fits your camera! !